After having 2 children of my own, I simply wanted a belly band to help me keep that stretch belly from becoming a permanent floppy one. Don't want to offend anyone, but I also don't have a flat belly, that's why I'd like some help with something like a support to keep my belly from becoming worse. 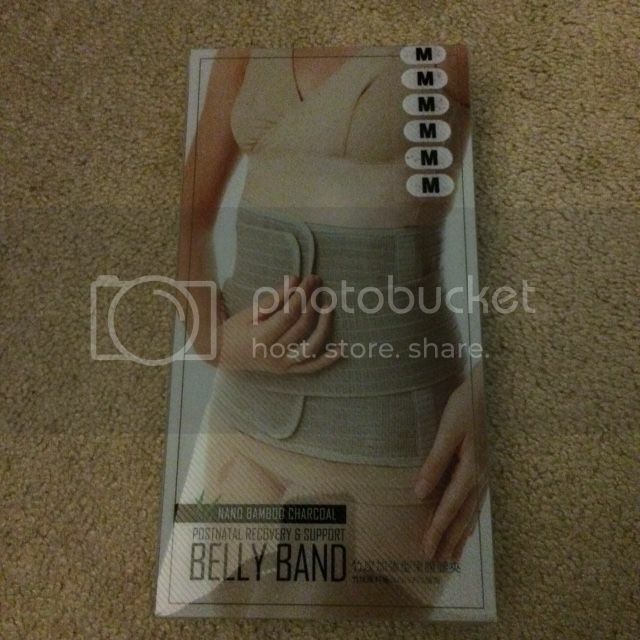 I am happy to review the post-natal recovery and support belly band from mamawayus company. The kind of belly band I'd like to try to help me with my goal. I know, I can help myself by doing some sit up or walking or anything, but having a belly band support would definitely make this even quicker. The product arrived in the mail via UPS. I don't see any sign of damage in the shipment that I've got to try it on that same day. I choose Medium to make sure that it won't start too tight and I am comfortable with it. It is very quick and simple to use. I laid on the floor as what the direction says and simply wrapped my belly with it. Fits great and it covers the entire portion of my belly. I can walk and sit without feeling uncomfortable. I've also noticed that after an hour of wearing the belly band around the house, it feels warm inside and the last thing I have noticed was I was sweating inside. It feels great and also the Velcro is very grasp, it secures that it will hold strong. I like how I can adjust the band without changing the way I put it on. For the List Price of $149.95 and now the price is down to $134.95 and it is on Sale now for $99.95, You Save: $50.00 (33%) in which it is a very great deal. Worth your money too, because for me it works. You can purchase the merchandise here. I wish I knew about this after I gave birth to the twins. It looks really sturdy and comfortable too. Perfect gift, indeed! I've used a belly band before but I find a good quality body shaper more effective. I have never used of these before but interested to, I just can't afford lol.